There’s a place for big ugly sweaters, snowman cookies, and caroling, but if you do them every year, they get a bit less special. For an original spin on the holiday season, we put together some party ideas that don’t lack for cozy togetherness, but do give you something new to look forward to. “Ski Shades” by Rifle Paper Co. Princess Bianca (Photo by Slim Aarons). Skiers outside the Chalet Costi in Zermatt, 1968. (Photo by Slim Aarons/Hulton Archive/Getty Images). Fondue pot: Amazon. Fur pillow: Z Gallerie. The weather calls for warm attire and fuzzy home accents, but who says they have to lack for glamour? 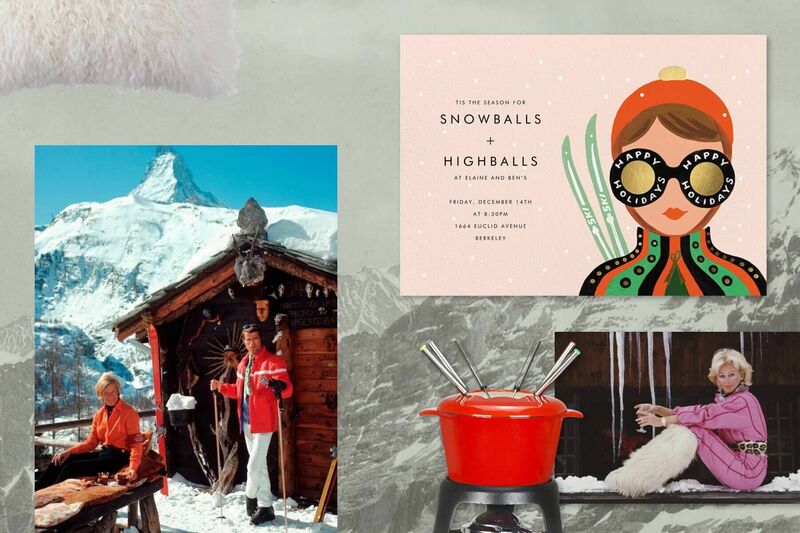 Even flatlanders can enjoy an apres-ski soiree inspired by wild times in 1960s St. Moritz. The dress code calls for sensible ski-wear (not jeans), big sunglasses to dodge the paps, and a grand fur hat. Faux, if you must. 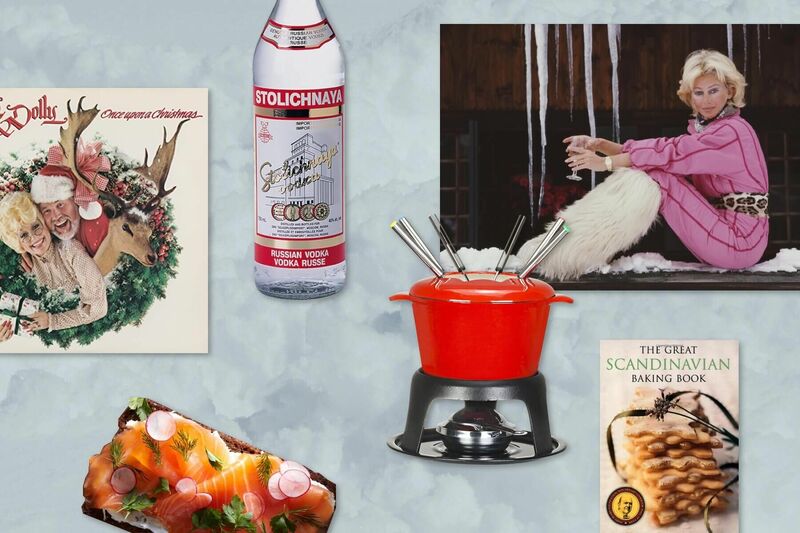 Once your Swiss Misses have arrived, pour mulled wine—gluhwein is the regional variation, but trust us, any will do—and let your guests do the cooking on a vintage raclette set or around a fondue pot. Scandinavian design is known for its minimal elegance, but it doesn’t get nearly enough credit for its array of cozy tricks to beat the brutal winters. The Danes call it hygge, which translates to something like “convivial coziness”—which is naturally appealing, but how do you make it uniquely Scandi? First things first: the most important accessory is candlelight, and lots of it. Either pick up a bag of tea lights or invest in a solid collection of flameless candles. The next party must-have: seafood. There’s room for interpretation, but pickled herring, gravlax, and cold-water crustaceans on smorrebrod (or crispbread) is a traditional menu—with lots of aquavit to chase. 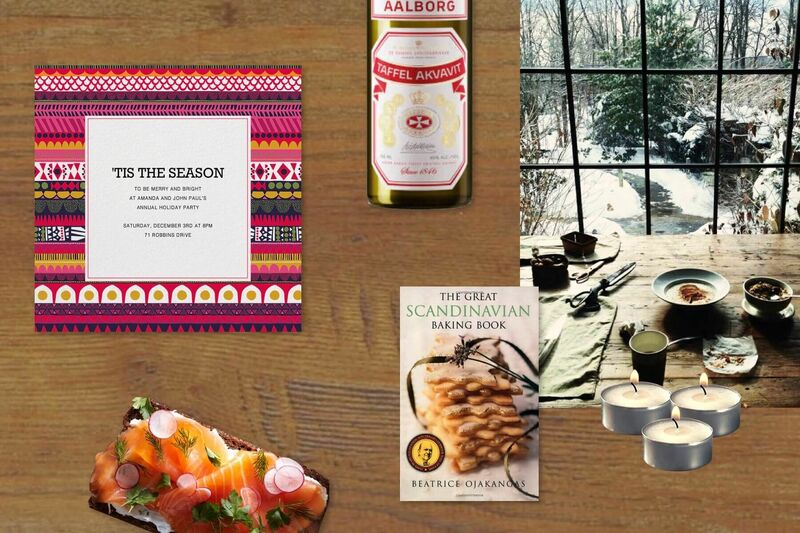 Finish off with ginger cookies, cardamom Danish, or something else plucked from The Great Scandinavian Baking Book. After all, if they name a pastry after your country, they probably taste pretty good. 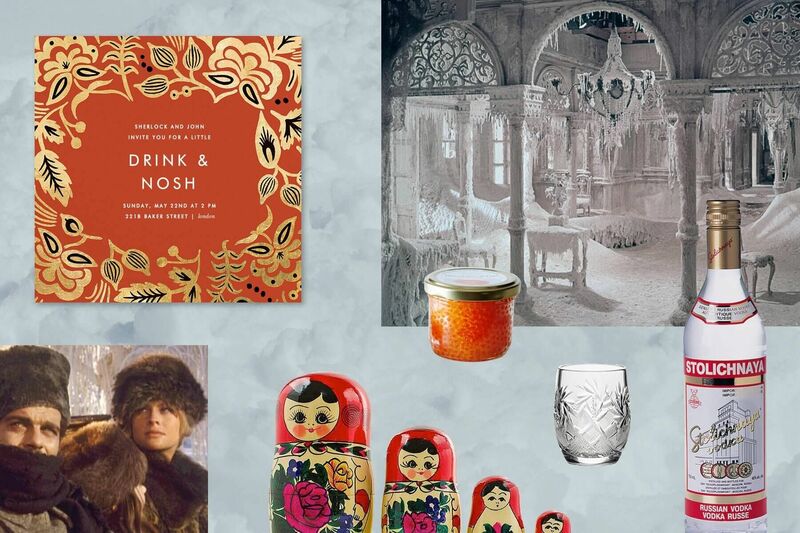 If you prefer to banish low winter spirits with the trappings of high culture, start snooping behind the Iron Curtain. The Russians don’t let sub-freezing temperatures get to them, so why should you? If you can, dress up in the finest of winter furs. If you can’t, dress yourself in the finest of faux furs. Caviar and Stoli (or trout roe and something mid-shelf) are the traditional centerpiece, ideally with fresh blinis. We also recommend experimenting with ice—at one particularly daring party, we saw a vodka bottle carved from a block of ice, but you can go ahead and just try a novelty shot mold, or the classic cake pan ice ring. After this party, you’ll be grateful for all those dark hours. More time to nap. On a completely contrary note, you can also take a bit of inspiration from somewhere that’s warm nearly year-round. 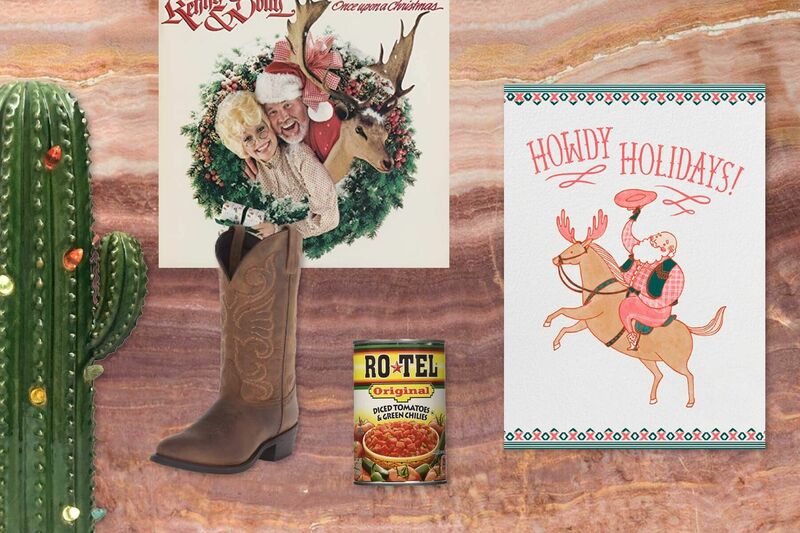 When you’re celebrating Christmas in a Texas state of mind, a sense of humor is always welcome (and your guests will like it, too). String some lights on a decorative cactus, mix up Texas caviar and Ro-Tel dip, and put on C&W favorites like Robert Earl Keen’s “Merry Christmas from the Family” and Dolly Parton’s “Hard Candy Christmas.” Have your guests come in pearl snaps and fine leather boots—formalwear done in the Western fashion—and line dance the winter blues away. It’s always the right night for a holiday party—browse our invitations to get started.